Rich de Vos, de legendarische mede–oprichter van Amway is op 92 jarige leeftijd overleden. 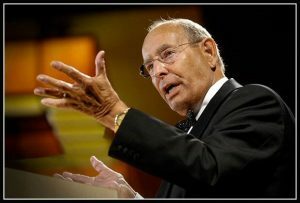 It is with a heavy heart that I share the news that Rich DeVos, co-founder of Amway died at the age of 92. Rich served as Amway’s president from its founding in 1959 until his retirement in 1993. He inspired millions of people worldwide with his message of hope and optimism. To learn more about his life and achievements, visit www.RichDeVos.com. This memorial site also allows you to leave a tribute to Rich or a message of condolence to the family. While many of you may wish to send flowers in memorial, the DeVos family requests that, in lieu of flowers, donations may be made to the Helen DeVos Children’s Hospital. To donate online, visit the Helen DeVos Children’s Hospital Foundation website.